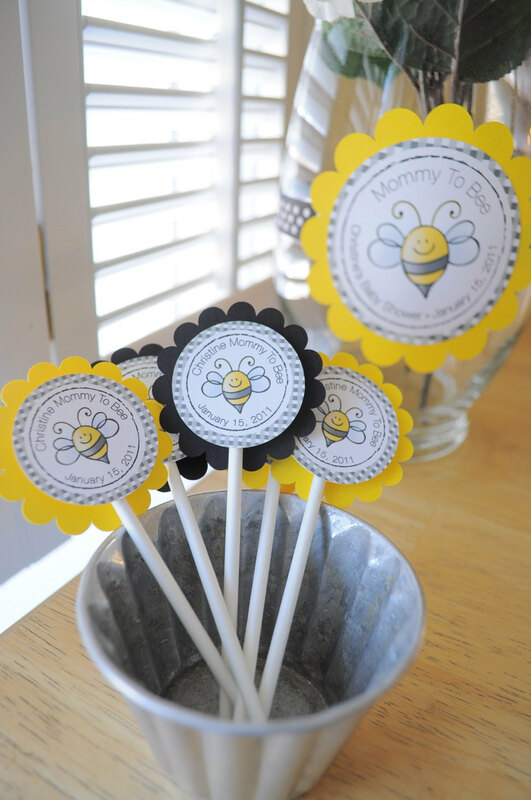 Celebrate your little one’s arrival with this adorable bumble bee theme cupcake toppers. 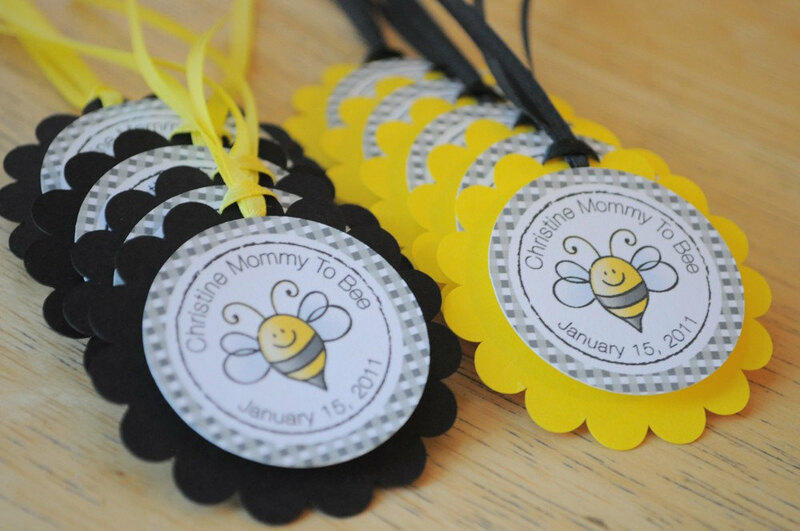 Personalized with ‘Mommy To Bee’s’ name and shower date. 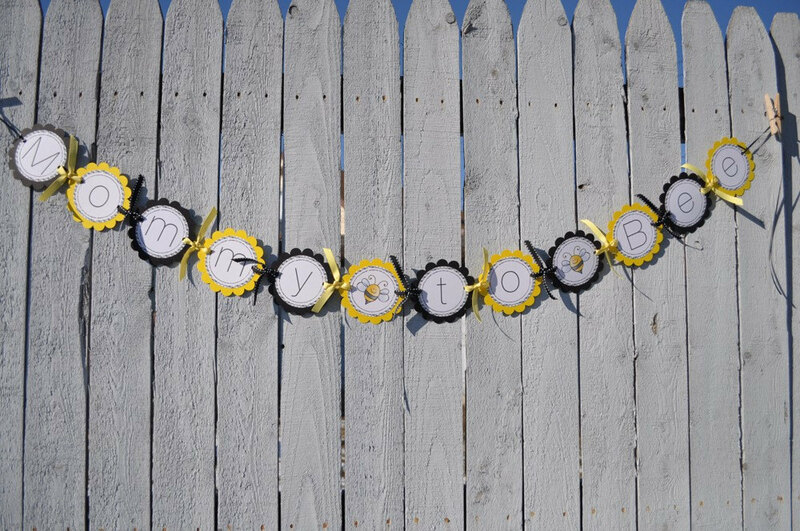 Colors are black and yellow. 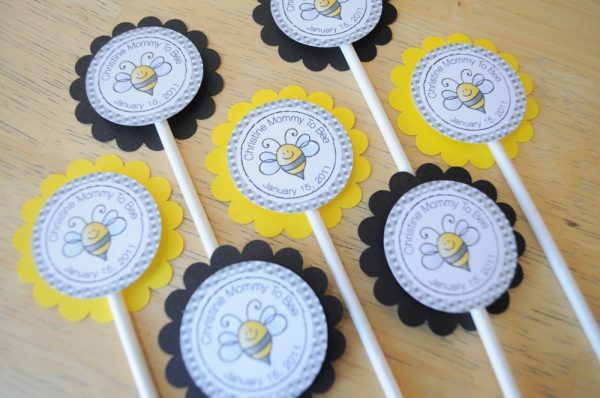 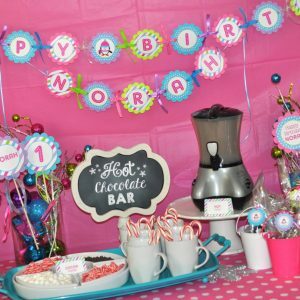 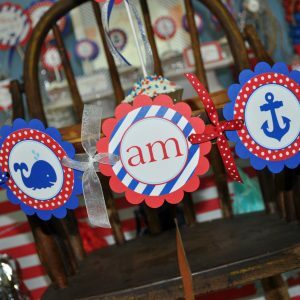 Perfect for a gender neutral baby shower. 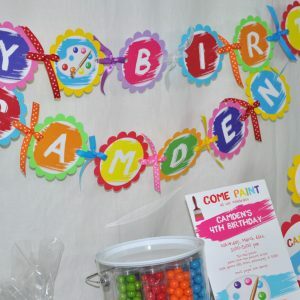 Each scalloped circle is 2". 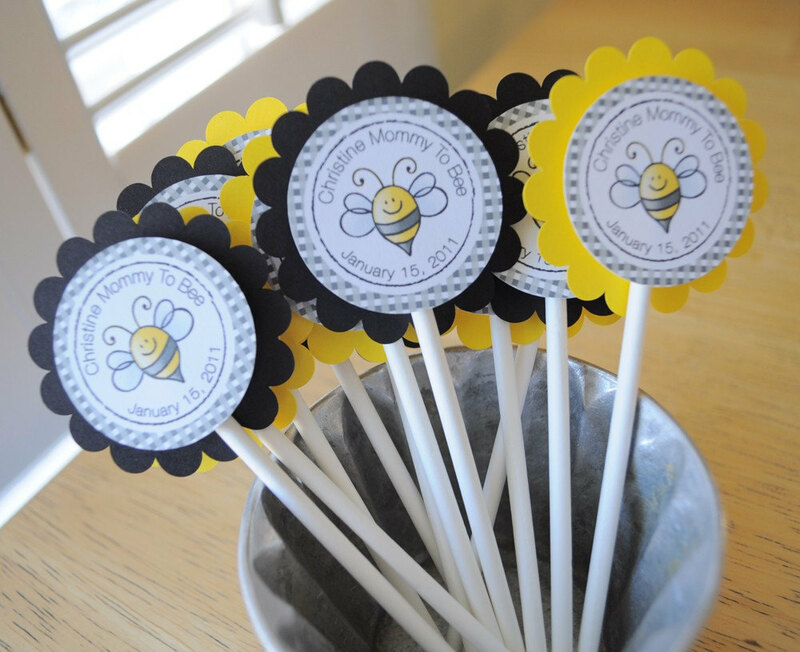 Set of 12 toppers.